A 1 bedroom fully furnished and nicely fitted apartment in a quiet residential area of the Limassol tourist area (near Papas supermarket). In a 20-year old building that is in a very good condition consisting of 5 floors with only 9 apartments. 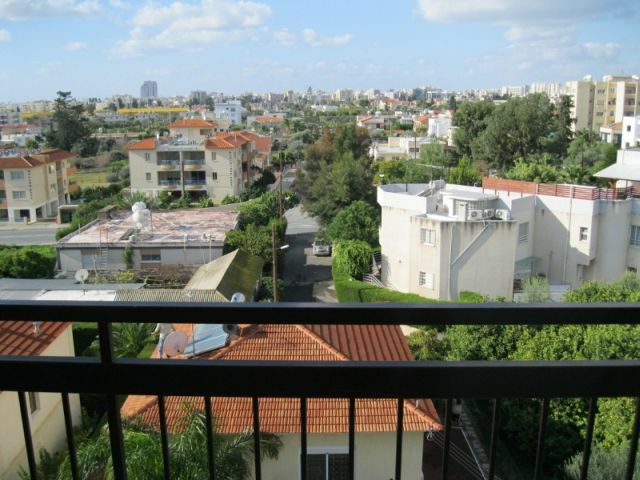 The apartment is on the 5th floor, has a beautiful unobstructed panoramic sea, mountain and city view. It is located within walking distance from the sea and the park, as well as from all the necessary amenities incl. supermarkets, pharmacies, banks, post office, rent a car, bus stop and more. Minutes away from the motorway.